ACTA Signed by the EU. Let’s Defeat it Together! Paris, January 26th 2012 – Today in Tokyo, the EU and 22 of its Member States officially signed ACTA1http://www.mofa.go.jp/policy/economy/i_property/acta1201.html, the anti-counterfeiting trade agreement. The worldwide citizen movement initiated against SOPA and PIPA must now focus on defeating their global counterpart ACTA in the European Parliament. A few days after the online protests against the anti-sharing bills SOPA and PIPA in the United States, today’s signing ceremony of ACTA is the symbol of the circumvention of democracy to impose policies that hurt freedom of communication and innovation worldwide. However, this highly symbolic signature is not the end of the road. Every citizen willing to act to defeat ACTA now has an opportunity to participate in having it rejected. They will be able to weigh in at each of the many steps of the ratification procedure, which will lead to a final vote in the EU Parliament no sooner than June. (See below). “In the last few days, we have seen encouraging protests2http://www.cbsnews.com/8301-501366_162-57364609/polish-websites-to-go-dark-to-protest-acta/ by Polish and other EU citizens, who are rightly concerned with the effect of ACTA on freedom of expression, access to medicines, but also access to culture and knowledge. This important movement will further build up. European citizens must reclaim democracy, against the harmful influence of corporate interests over global policy-making3For an analysis of this global movement, see Yochai Benkler’s article: http://techpresident.com/news/21680/seven-lessons-sopapipamegauplaod-and-four-proposals-where-we-go-here. For each of the coming debates and votes in the EU Parliament’s committees before the final vote this summer, citizens must engage with their representatives.”, said Jérémie Zimmermann, spokesperson for citizen advocacy group La Quadrature du Net. 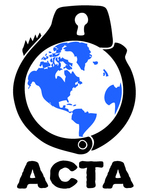 To act against ACTA, please refer to our dedicated campaign page.